6th Floor, 9A, New Janpath Complex Ashok Marg Hazratganj, Lucknow - 226001, UP, India. 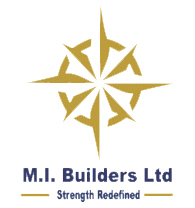 MI Builders Ltd is an extremely well known name in the real estate industry. M.I Builders is a real-estate company that was incorporated in the year 1987 under the Indian Companies Act of 1957. Our top-class projects are sited in prime locations of NCR and Lucknow and are well equipped with all modern amenities. M.I. Builders, consistently strive towards achieving this objective, “Coming together is a beginning, keeping together is progress and working together is Success”. They have residential and commercial projects spread across Delhi NCR and UP. Their mission is to make Mi Builders a PAN India Company by 2020. Some of their prominent projects include The Rivierra Residency and Golf Gardenia. Known for the great features and amenities they offer along with amazing location advantages, these projects have been quite a success.Under the leadership of Syed. Mohd. Qasim Ali, the Group has been recognized as one to watch out for. MI Builders is a member of the U.P. Builders Association and is a CREDAI member as well. With teams of experts and years of experience under their belt, MI Builders Ltd is one of the most reputable names in the real estate industry.